This Tall Avelino glass sculpture installation consisted of seven Tall Avelino sculptures. The project was for a custom art glass installation in Dubai UAE. We were contacted by The Jam Jar Art Consultants for this project. The client wanted organic hand blown glass forms similar in color and size. 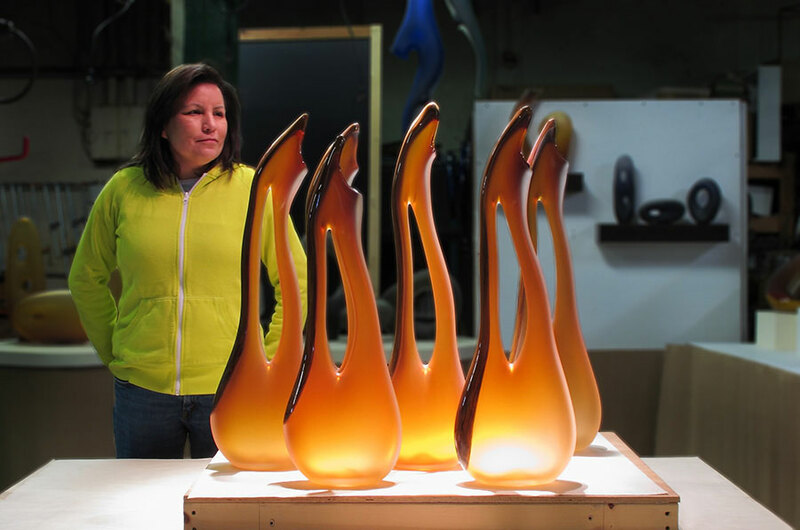 The cinnamon and aurora colors of these glass sculptures provided the warm color palette the client desired. The artwork was to be displayed on individual pedestals grouped together.